Valmet is pleased to announce the appointment of Mejoras Energeticas as its partner in Spain. Starting from September 2016, Mejoras Energeticas has become an official distributor for Valmet's water and wastewater solutions and services in Spain. Mejoras Energeticas has a long and proven experience in the Spanish wastewater industry. Its original mission is to provide technological solutions for the water networks control with reliable products and applications. Since 2006, Mejoras Energeticas is part of the Mejoras group and has constantly improved its expertise and service to water industry customers. 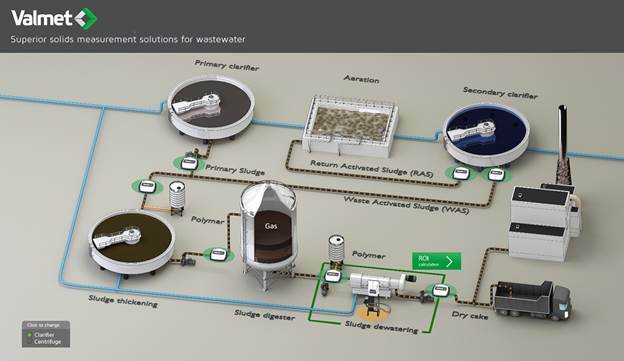 "The wastewater related solutions are a growth area for Valmet's automation business and by joining forces with Mejoras Energeticas, Spain we are able to attract large sales coverage in Spanish wastewater market. Valmet has strong automation expertise and advanced technology, which we can now combine with our new partner's excellent local contacts and experience," says Heli Karaila, Business Manager for Wastewater at Valmet. Valmet's conductivity and concentration measurement products are well established in the industry. Their proven and tested technology in demanding process industry applications have a strong and leading role in many measurement and control applications. iWater Barcelona will be the first exhibition where Mejoras Energeticas will promote Valmet's analyzers and solutions to the water industry. Come and discover Valmet LS, Valmet DS and Valmet TS, on stand n°328 in Hall P1.